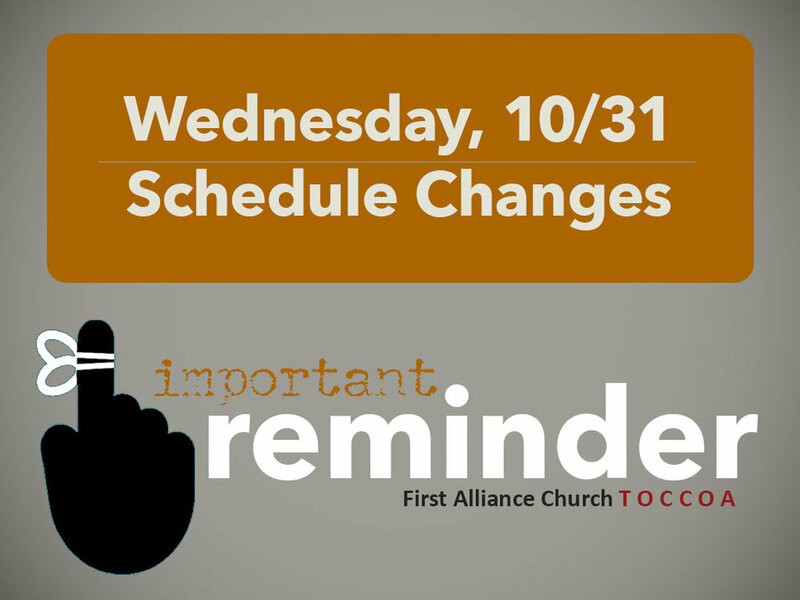 The Wednesday, Oct. 31 Schedule for Wednesday Nights @ FACT will be limited. There will be no Nursery, Awana, Prayer for Healing, or Choir/Music Rehearsals. On-Deck Youth will be part of a community engagement effort at the Gambill’s. Prayer Meeting will meet in a home (check with Ray H.). Discipling Communities should check with your group facilitator.